As promised in the second before the last post, I am showing you here another photograph that was taken just a little after the mystic foggy winter forest photograph. After having worked on the foggy forest subject for a while, I decided to continue my bike ride further uphill. The fog became denser and denser, but the sun seemed very close and I suspected that there might be an impressive sea of fog covering Zurich. I hastily and expectantly pedaled to a viewpoint from where the city and lake of Zurich lie below and on a clear day the mountains are visible on the horizon. The spectacle that I witnessed was much more impressive than I could have hoped. At the beginning, only the newly built Prime Tower barely reached through the fog and the whole city and lake were blanketed by a fluffy white sea of clouds and fog. The smoke and smokestack of a waste-to-energy plant also broke through the white blanket as I enjoyed the view and the warmth of the glistening sun. The sea of clouds disolved layer by layer, slowly revealing the city floor by floor. For almost an hour the panoramic view of Zurich constantly changed until the sun had evaporated the white soup completely and the city had appeared. Indeed a very memorable morning of which nothing could have been guessed if I had stayed at home. 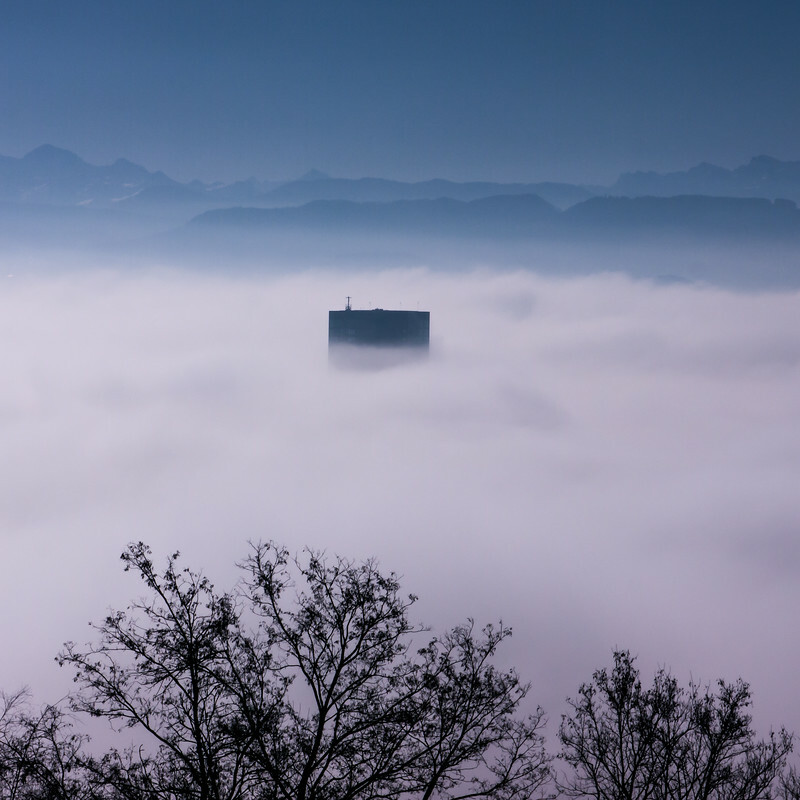 During fall and winter, fog is a common guest in Zurich. 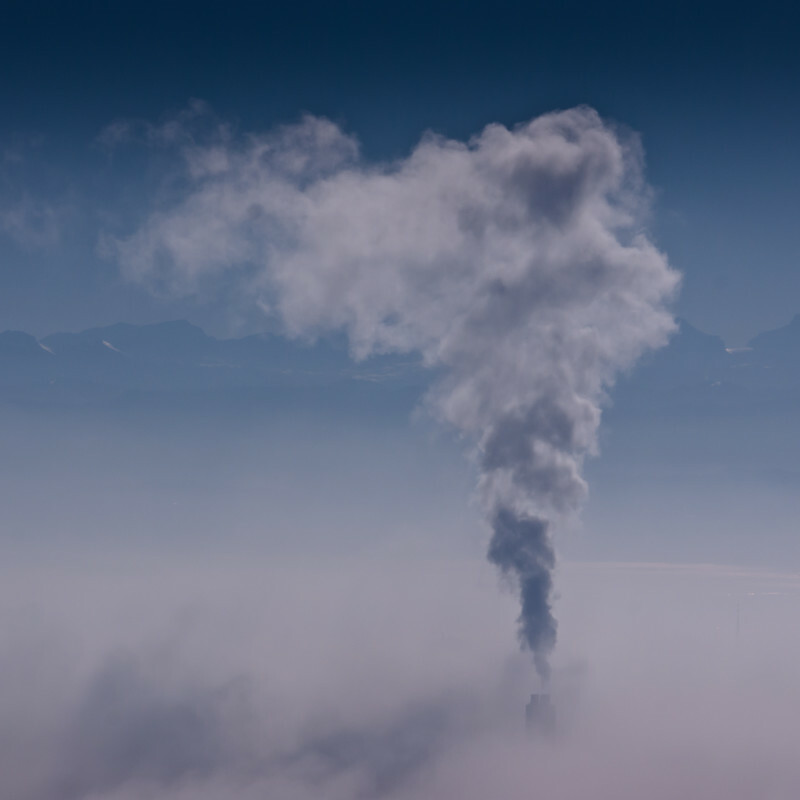 The moisture from the lake and the entrapment of cold air by the chain of hills around Zurich (which causes a temperature inversion: cold air at the bottom covered by warmer air above) can lead to the formation of ground or high fog, which can prevail for days or weeks. You never know exactly if, when and where it dissolves and these are the times when on the weekends everybody heads to the mountains to hike, climb, ski or tobogganing.